Insurance purposes, against loss, damage, or theft. Updates are recommended every 1 to 5 years. The gemologist/appraiser must have years of experience and knowledge in evaluating gems and jewellery based on accurate information from the marketplace ie. pricelists, trade publications, etc. Can I drop-by at any time to get an appraisal? There are others with scheduled appointments and you would be walking in on their time. Please call (403) 264-8526, we will gladly make an appointment to suit your schedule. How often do I have to appraise my jewellery? We recommend that you update your appraisal every three to five years, depending on the supply and demand of your gemstone, its size and its quality. Why is the value on my appraisal lower than it used to be? Because diamonds and gold are traded in US currency, their value is reflected in the Canadian dollar. Appraisal values will be dictated according to the increase and decrease of the Canadian Dollar. 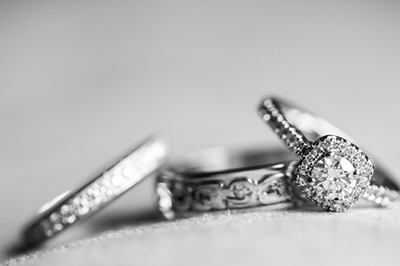 PLEASE NOTE - Changing your insurance company may result in immediate updating of the appraisal, in order for your jewellery to be covered by the new insurer. I'm having my ring repaired. How can I be sure that I'm getting the same diamond back? We recommend having your diamond plotted. A plot is a diagram of your diamond's inclusions which are located in specific regions in your diamond. No two diamonds have the same inclusions in those locations. Therefore, a plot is like a fingerprint. After the repair, any gemologist will be able to I.D. your diamond. What details should be on the appraisal? Identification of all stones, their shape, dimensions, and approximate weights. A quality analysis, based on the Gemological Institute of America (GIA) system of grading. All diamonds must be graded as to their colour, clarity and cut. Coloured stones must be graded as to their colour (hue, tone & saturation), clarity (degree of flaws), and cut (proportions). The appraisal certificate must be numbered, dated, signed and sealed by the gemologist. An estimated retail replacement value or estate value must be clearly stated on the certificate.